No. 4308 - Canadian National - Owen, Wis. 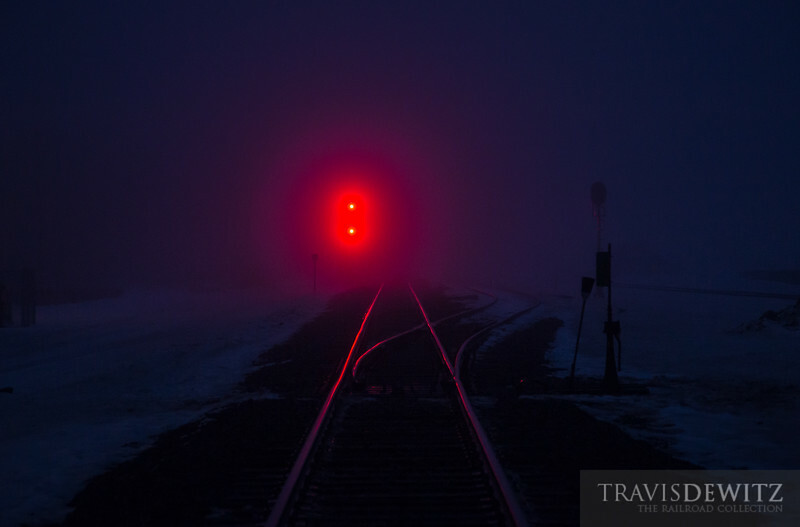 The red glow of distant signals saturate the ice fog that has formed over the Canadian National's north-south line through Owen, Wisconsin.